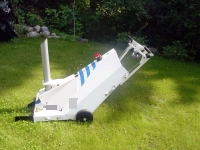 In Sweden, puck shooting machines are used for training of goalkeepers of all ages. 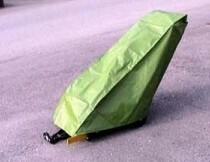 Just buy one such machine and you can use it for all goalkeepers in your hockey club. Do the same like currently are doing more than 100 hockey clubs in Sweden. 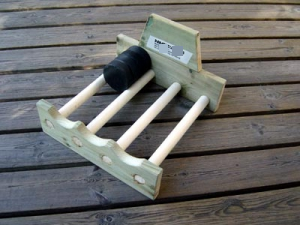 Also well known NHL goalkeeper Henrik Lundquist uses puck shooting machine made in Sweden. 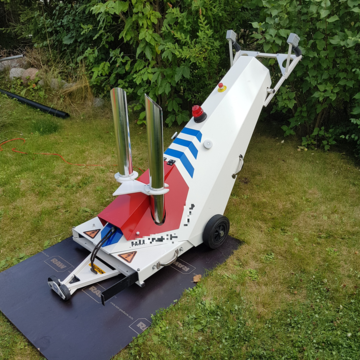 Puck shooting machine can be used both on ice and off ice during summer. 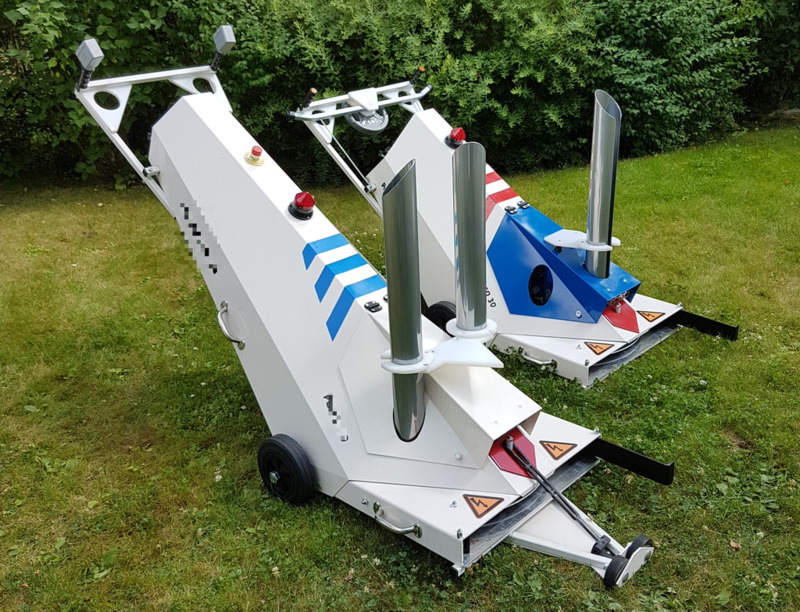 In Sweden it is very popular for its mobility and the ability to train up to 3 goalkeepers at the same time. Speed shooting is always adjusted according to the age and performance of the goalie. 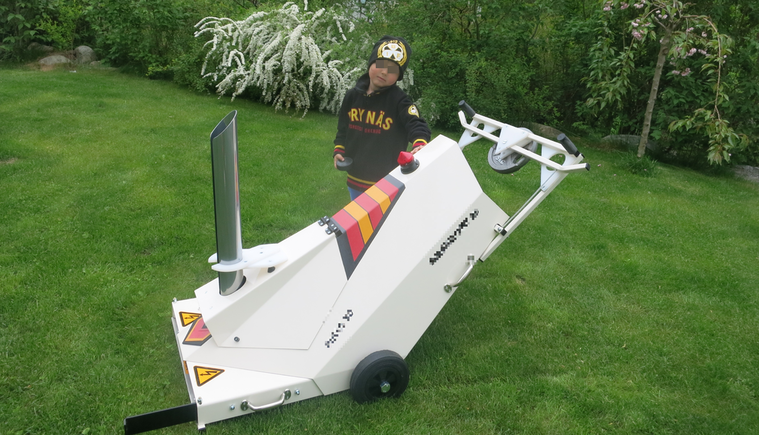 Our puck shooting machine also uses hockey summer schools and special goalie schools. Production is made in Sweden. We can manage transport directly from the producer to your ice-arena. 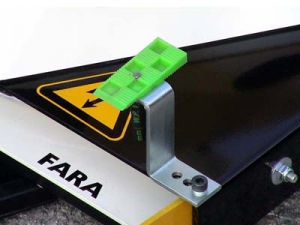 Puck shooting machine can also be delivered to individuals who are betting on their hockey goalkeeper's future. 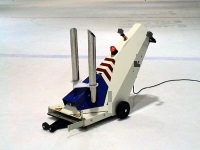 We can add that Swedish puck shooting machines we offer you operate under a principal that is unique in the world. In spite of few moving parts and being still lightweight, those shoot perfect shots with good precision at both long and short range, because our machines utilize a gyro-stabilizer when shooting! - with a capacity of 60 pucks (2 stacks of 30) - the best-seeling type! Interested to buy one for your hockey club? 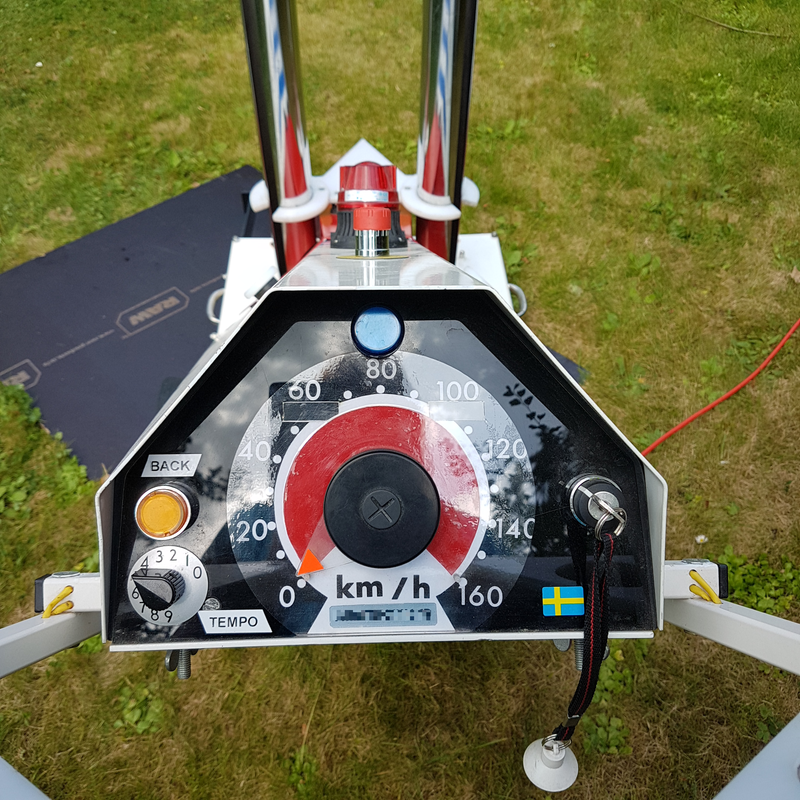 Send your order and you will get demanded puck shooting machine directly from the Swedish producer! 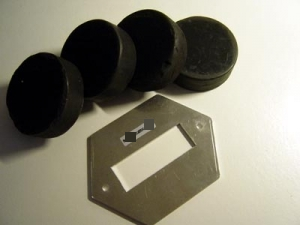 - the speed of fired pucks can be controlled gradually - from 5 to 160 km/h. - shoots the pucks very quickly - up to 60 pucks per minute! Are you interested to buy Swedish puck shooting machine?